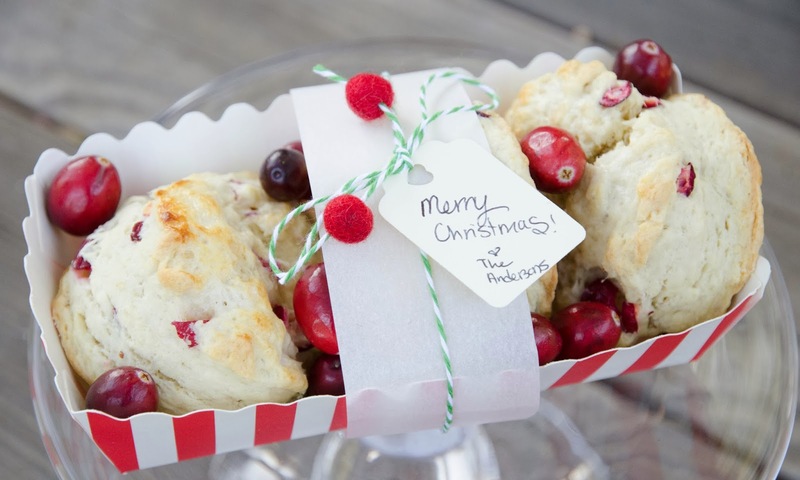 these little loves: A Non-Cookie Alternative to Christmas Party Gifts. 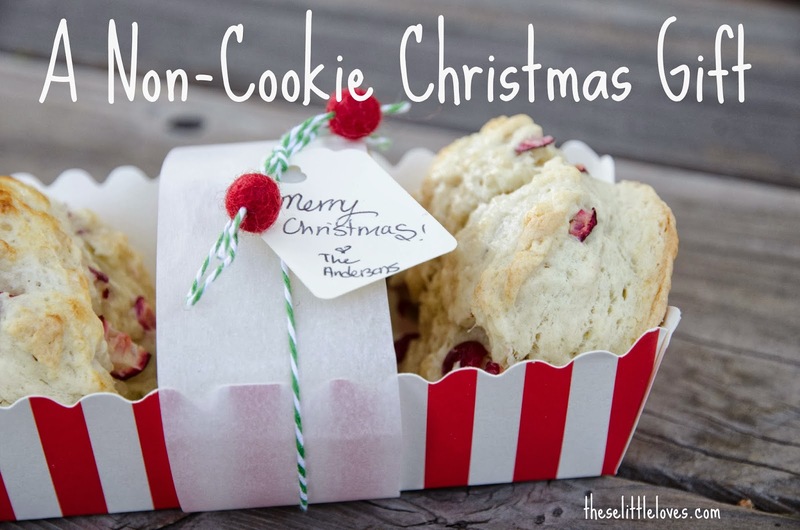 A Non-Cookie Alternative to Christmas Party Gifts. Just a quick post today. I'd thought I'd throw a non-cookie idea out there for neighbor/friend/hostess Christmas gifts. Don't get me wrong - I love a good cookie. In fact, I dedicated this recent post to some of my latest cookie baking discoveries. However, Christmas is often overrun with cookies. And too many cookies, no matter how yummy, can make you feel 'bleh'. How about a little breakfast treat instead? 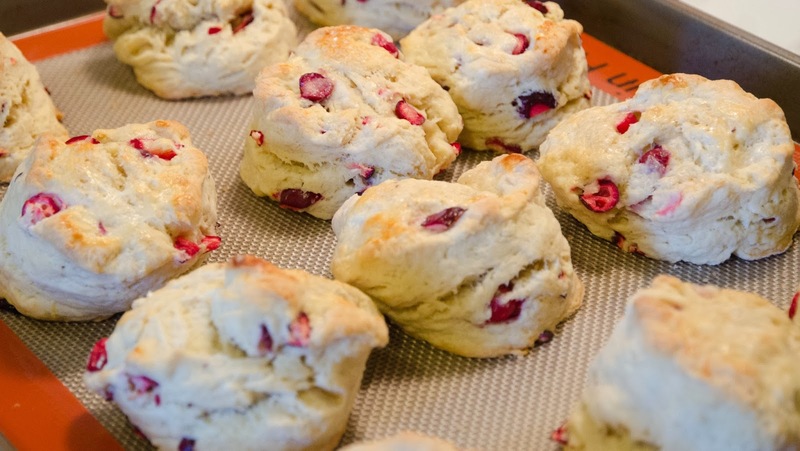 I tried these Cranberry Lemon Biscuits from Joy the Baker and they were perfect. Not too sweet. More like a British scone. I wrapped them up (after slipping one onto a plate for taste testing) and will pass them out tonight at our Bible study Christmas party. Another good option are these Blueberry Scones from La Petite Brioche. I gifted these to my mom's group. I'm a blueberry scone snob, but these were legit. 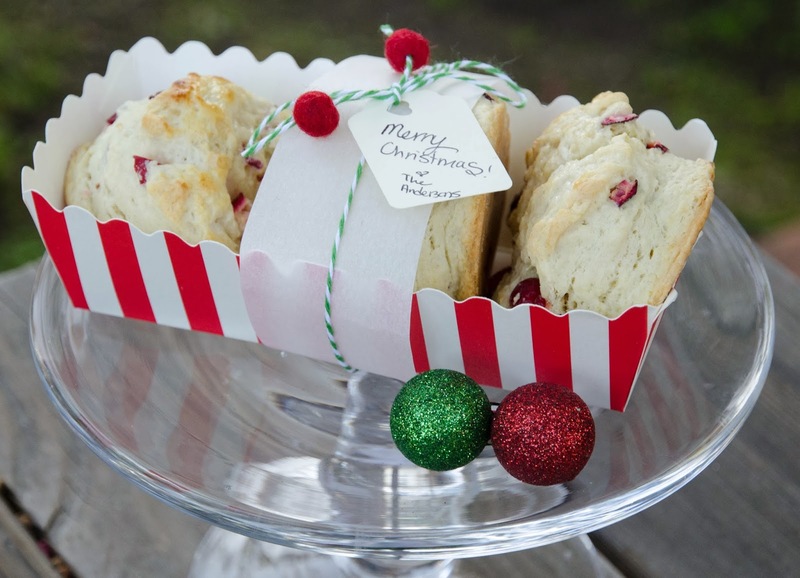 Pair a great scone recipe with a tangy lemon curd and you've got a perfect hostess gift. And a cheat for people out of time or less than gifted in the kitchen - Sticky Fingers Blueberry Scone Mix . I RARELY use mixes. This is one that I will pull out on occasion. It is surprisingly delicious and you only have to add water. Genius.